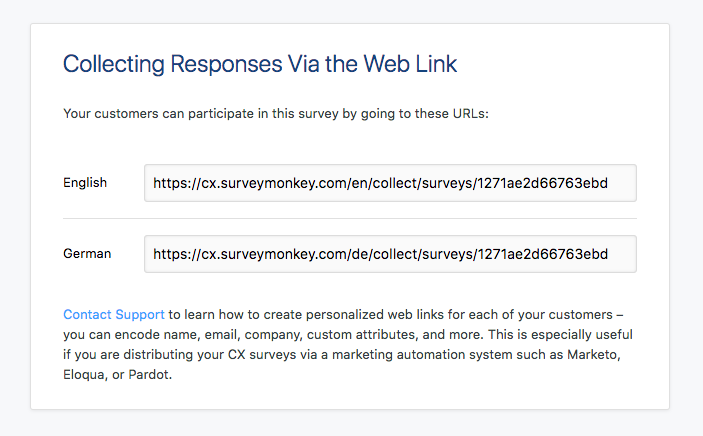 Localized surveys allow you to send a CX survey in English, Chinese, Dutch, French, German, Portuguese and Spanish, merging all results for analysis. 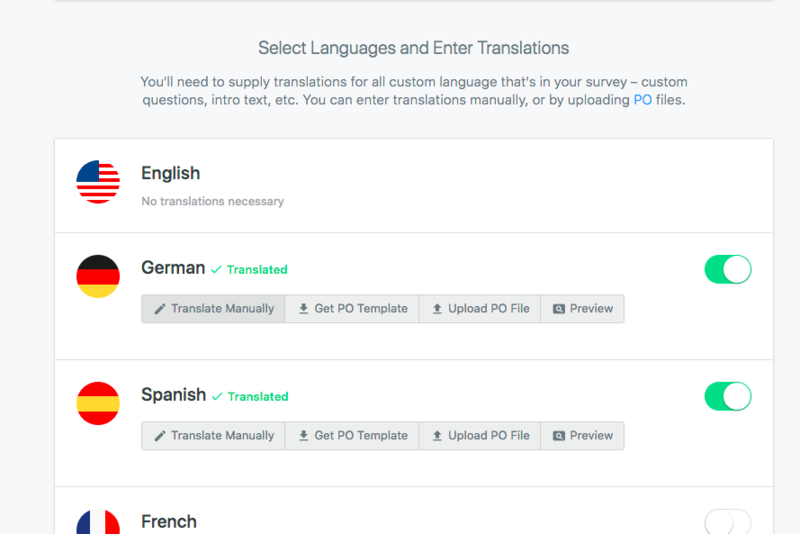 When adding localization to surveys, you'll design the survey in English, designate the languages available for the survey, and upload translations for your custom questions and email message. 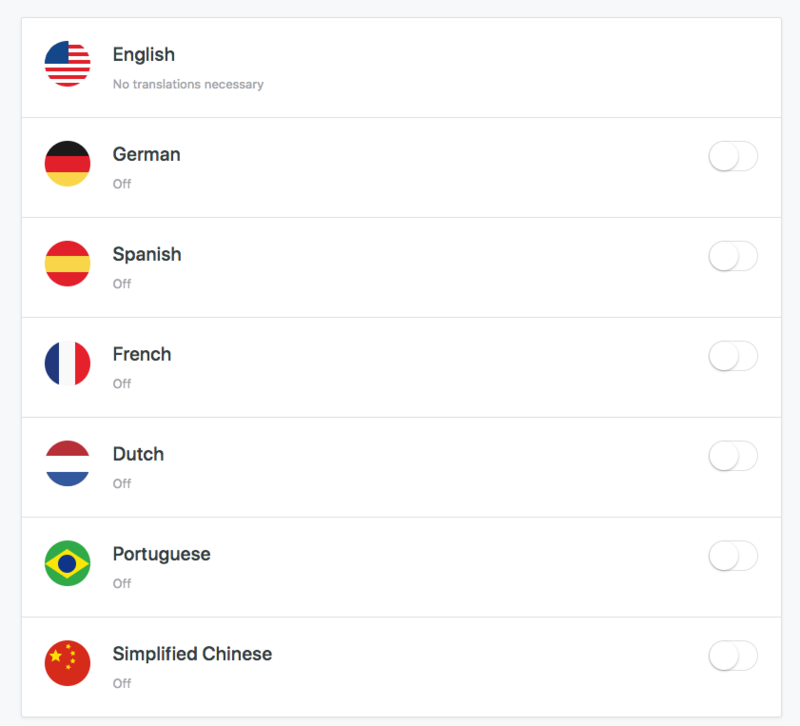 While CX will automatically translate standard survey text such as the NPS question, you will need to add in your own translations in customized areas. To do this, you'll download a PO file template, add in the translations, and re-upload the translated file. Note: if you're using TextEdit on OSX, you'll first need to disable "Smart Quotes" within System Preferences. 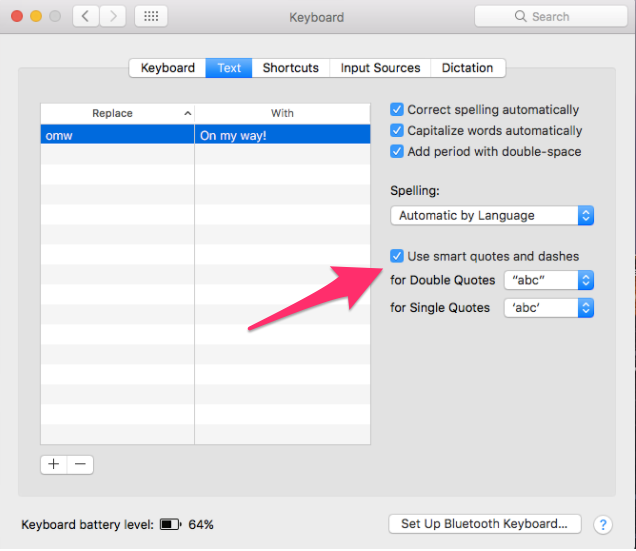 Open System Preferences, then click Keyboard, then Text, then uncheck "Use smart quotes and dashes." Note: if you upload a new PO file, it will override any previously uploaded PO file within that survey. A survey with localization can only be launched when all selected languages have completed translations. When sending a survey through an Email Invitation, upload a different CSV file for each language your survey is offered in. For example, you would upload one CSV of customers who speak English, and one for customers who speak French. When sending the survey with a Web Link, a different link will be generated for each language. When viewing the NPS question in other languages the words "friend or colleague" aren't included in the translation to ensure that the meaning of the NPS question is not ambiguous when translated. It's not possible to edit or create translations for this question in the survey.